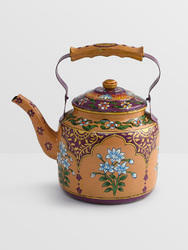 Kaushalam is a pioneer manufacturer of Hand Painted Tea kettles and other products and a well-known name for hand painted kettles across the globe. 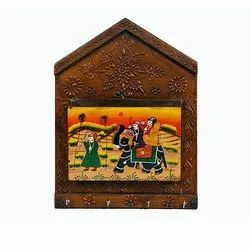 Fine Decorative Wooden Painted Horse Paper Cutter Available In Different Designs & Sizes. Raaslila of Sri Radha and krishna. Painted on natural palm-leaf, and framed with wild lemon grass sticks. Mementoes for ceremonies in your offices or organisations , you just give your design or organisation logo so that we can make them through handicraft process. Exclusive gold outlining, "Flower inside Flower" design on papier machie bowl with lid, Brass covering inside. Dimension: 500 mi to 1500 ml.